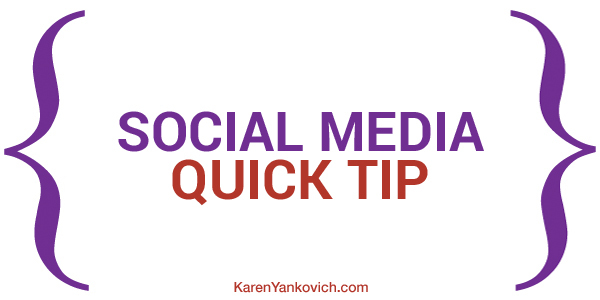 Welcome to the first in a new weekly series, Social Media Quick Tips. Each week there will be a video where I’ll be showing you useful tips that will help you make better use social media networks and platforms. This week’s tip is a general tip. I wanted you to take a look at the new interface on LinkedIn. If you log into LinkedIn or if you haven’t logged in in a while, when you log in, you’ll see that there’s a new interface. It’s kind of cool because now, when you click on your profile, you get the ability to jump in quick and edit any section you want just by looking at it. For example, to edit your profile, you can do so while you’re looking at your profile by clicking on the little pencil icon. The improvements are cool because they it easier for you to make changes as you look at your profile on the fly as opposed to having to go in to the edit mode like we used to have to do before. It’s a little off-putting at first because you’re trying to read something and boxes come up. You have to get used to it but once you do, it’s really kind of cool. It gives you the ability to do quick edits to any section on the fly. That’s it. That’s my social media quick tip for today. Go into LinkedIn. Take a look at the new interface and let me know what you think in the comments. Thanks is cool and SOOOO much easier, I just quickly filled in a couple blank spots. Thanks for the tip Karen!